Well, it's Thursday and that means a couple things. 1) I'm in my Thursday shirt. 2) The weekend's just over a day away. 3) We've gotta make sure that your gaming tables look as good as they possibly can. As the first one is already in play and the second we can't really do much about (unless you happen to have a time machine handy), let's take care of that third one. In the Terrain Corner today we have: Mobilescape Adventures Tabletop RPG Terrain Up On Kickstarter, Modular Underground Project Now Offering Pre-Painted Terrain, Crossover Miniatures Running Massive Zeppelin Terrain Kickstarter, Deep-Cut Studio releases specialised game mats for Malifaux, Castle II Kickstarter from Miniature Building Authority Running Now, and Outlander: Pwork Wargames Gaming Mat Now Available. Remember to please have Margaritas responsibly. 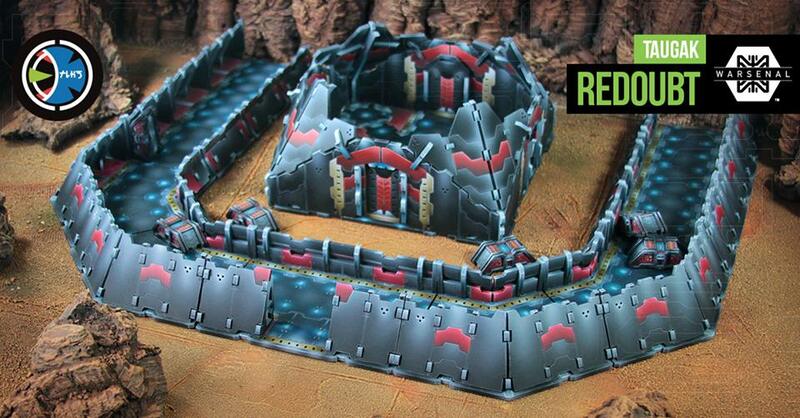 In the meantime, let's make sure that your gaming tables look as good as possible. 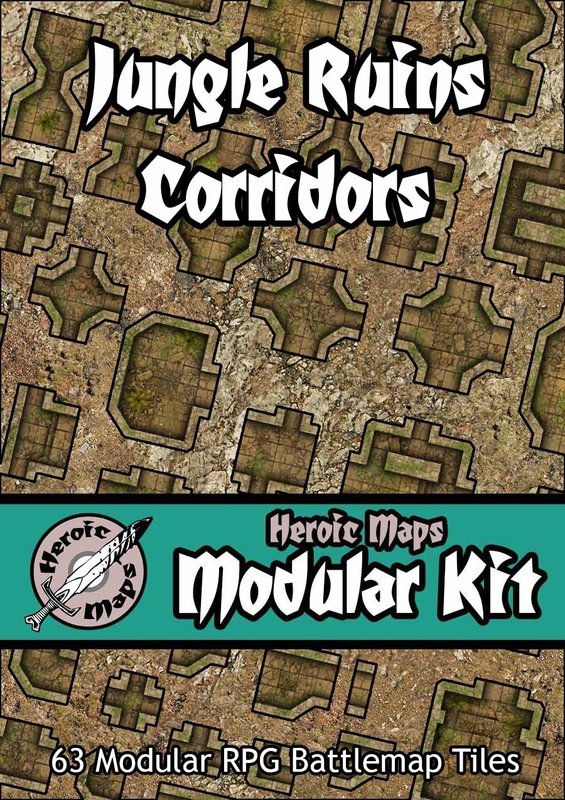 Today in our Terrain Corner we have: Introducing Skull Forge Scenics Resin Terrain Kits by Rob Hawkins, Modular City Terrain Tiles and Fencing Up On Kickstarter, 28mm Modern Urban Terrain Sets from Sally 4th Now Available, Pwork Wargame Operation Delta Mat Now Available, and Heroic Maps Forest Bunker M-81 Map Now Available. With the X-Files coming out with new episodes, the interest in 90's-esque alien invasions is on the rise. 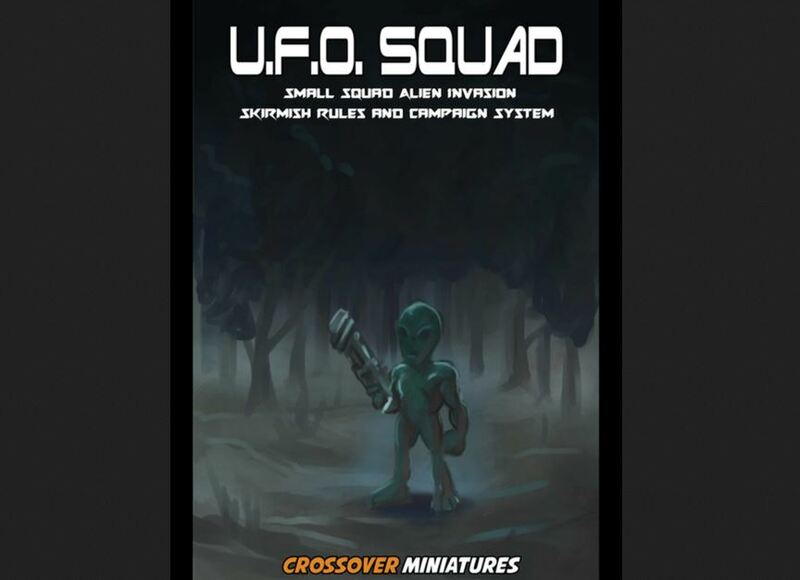 After having worked on the rules for some time, Crossover Minis feels it's time to release their UFO Squad set of skirmish rules. The truth is out there. And the truth is that UFOs are invading! Run for your lives! Aaaaah! 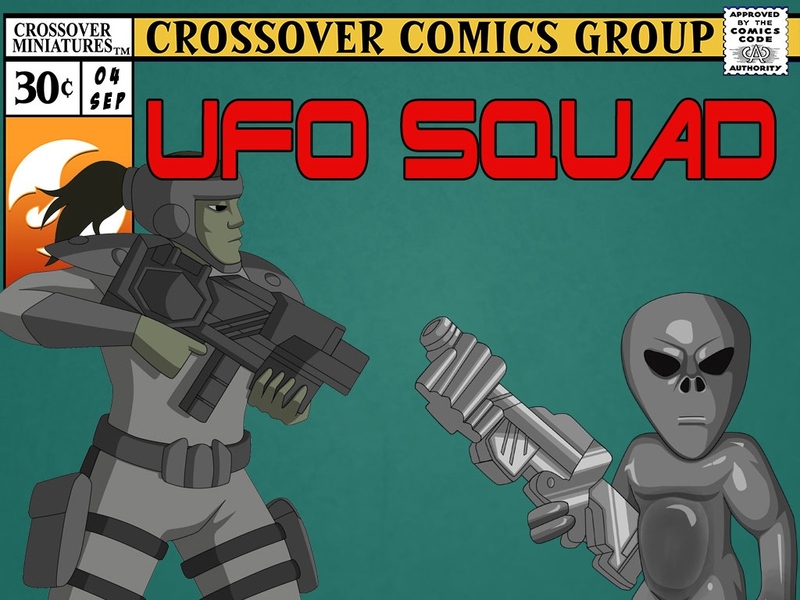 Ok, maybe not exactly, but that's what's happening in UFO Squad: Alien Invasion from Crossover Miniatures. Yes, they're taking a step away from the super hero genre for a moment to go full-on sci-fi. Their new line of miniatures, that they have up on Kickstarter now, are for their new UFO Squad sci-fi skirmish game. Play as either the invading alien menace or the UFO Squads assigned to defend the earth from the grey wave. 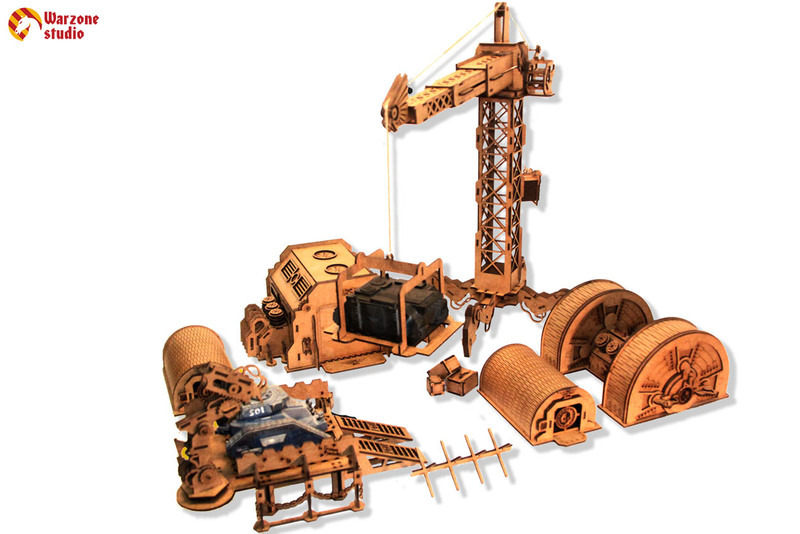 Crossover Miniatures is having a sale on their robot minis over in their webshop. 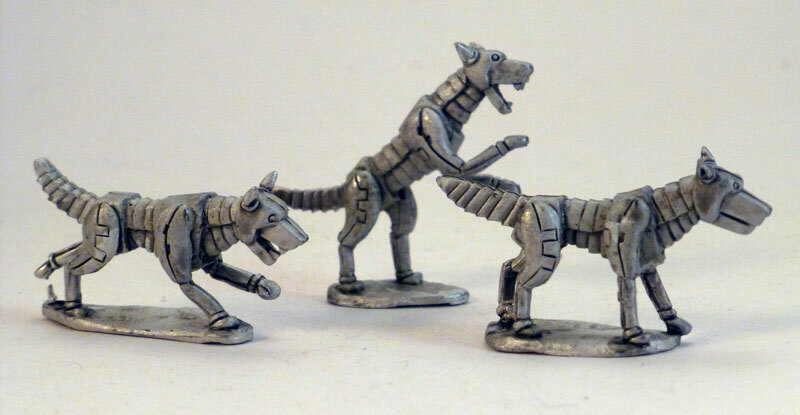 Great for a wide range of sci-fi miniatures and RPG games, Crossover Minis are pretty economical to begin with. Grabbing some robots on sale makes it even more so. The sale lasts until Christmas Day, so head on over to their shop and check it out. Crossover Miniatures simply couldn't wait and so they've started their Cyber Monday sale already over in their webshop. Crossover Miniatures is having a Cyber Monday sale and it begins now! All Crossover and Black Dragon miniatures are on sale. Just enter 'cyber' into the coupon code field on the cart screen to get 10% off any in-stock models. If you are in the US have a great holiday and I hope you get to spend lots of time with your family! 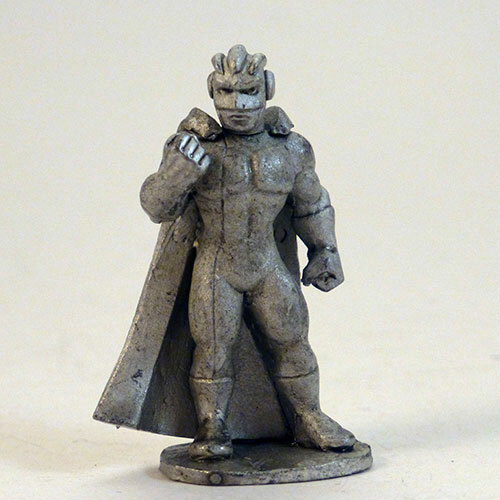 Crossover Miniatures has launched a Kickstarter campaign for some new Superhero minis. The campaign's only a week long, and has already passed its goal, so better be quick. Crossover Miniatures is running a new Kickstarter for a short time. 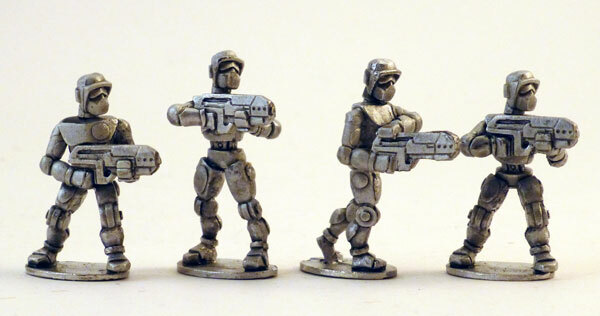 We make 28mm Heroic white metal minis. Check out the new Heroes/Villains and loads of minions. This time we've gone cosmic! Drop by and see what we've got to offer! Crossover Miniatures will now be your exclusive source for Black Dragon Miniatures. Crossover is happy to announce that we will be the exclusive stockist for Black Dragon Miniatures, formerly the Effigy line. These amazing models sculpted by Tom Mason have been given a new lease on life and at a much lower price. Check out these amazing models and grab a few for yourself! Crossover Miniatures has their June releases now posted up on their website. 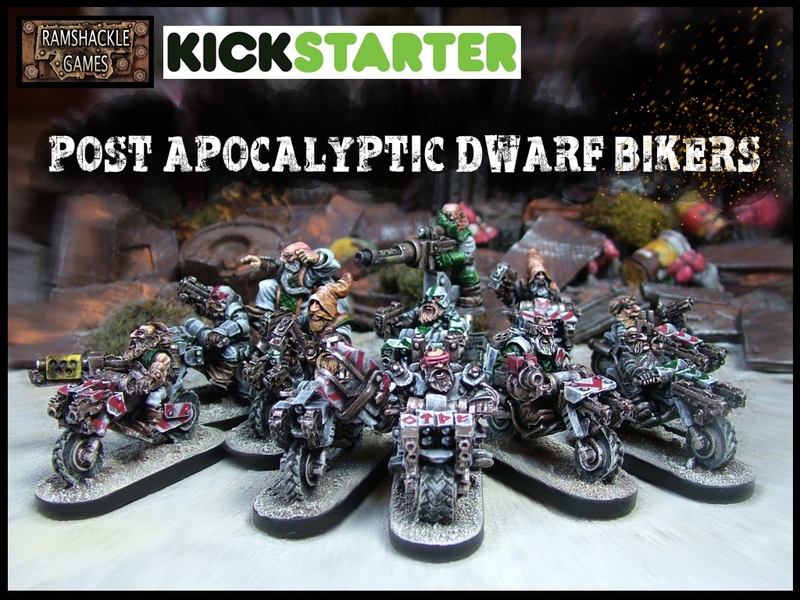 The next miniatures to be released to the general public have been added to the store. We are adding three great new Heroes and Villains to the store. Play Unplugged takes a look at the Dr. E-Vil miniature from Crossover Miniatures in their latest review. Did everyone have a great holiday season? I hope you did! Every year around this time my wargaming pals get together at our LGS and there is often a modest gift exchange. My gaming groups are pretty darn thoughtful in general, and with so much awesome and exciting stuff going on in the world of miniature gaming, it’s hard not to get some sweet gifts. One of my gifts from this gathering just happened to be perfect for the first of what will be my on-going miniature review series, highlighting cool figures I’ve found that I think you will love. 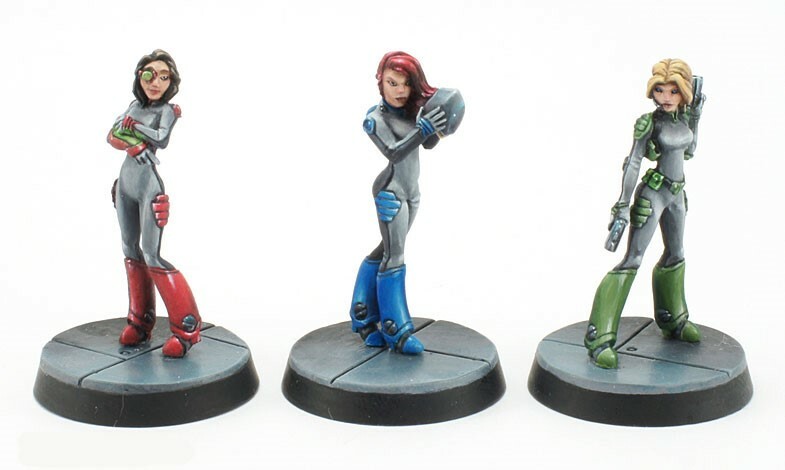 Crossover Miniatures is looking to expand their superhero line with some new minis and have launched a Kickstarter campaign to do just that. They've already passed their goal, so it's stretch goals for the next 20 days. I, for one, welcome my new robot overlords! Gobs of Robots, Bank Job Thugs, Heavy Weapon Goons, and of course Heroes and Villains. Crossover Miniatures is having themselves a Holiday Sale over on their website. 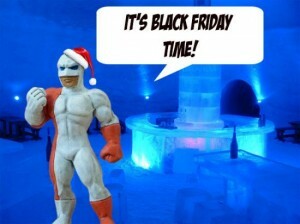 To get in the holiday spirit, Crossover Miniatures will run a Black Friday sale! Put everything that you want in your cart, then on the cart page, enter 'blackfriday' in the coupon code field, and get 15% off your order if you spend $20. Or send your significant other over to the gift certificate page to buy you some gifty goodness. Crossover Miniatures posted up their latest releases over in their webshop for you to check out. Crossover Miniatures has got a few more new 28mm releases this month. First up this week, our newest minions the Cops! Sometimes the good guys need a little help and with our new cops, they can get it. These guys also make great Federal Agents, Counter Terrorists, or even Terrorists in your games. You can choose between one of three different heads when you purchase them. Next up is our newest hero. An archer named Fletch, complete with modern bow. Of course he comes with three heads to choose from. Crossover Miniatures has new releases that you'll never see coming. They've got some new ninjas and a new speedster, Mach 3. This month we have some great new releases. First up are our two newest heroes. A speedster named Mach-3 and an all around female hero Safeguard. Of course each comes with three heads to choose from. Also released this week are our newest minions, the Ninja! These guys look great skulking in the shadows or surrounding some poor dogooder. You can choose between one of three different heads when you purchase them. Everything can be found in our Shop! 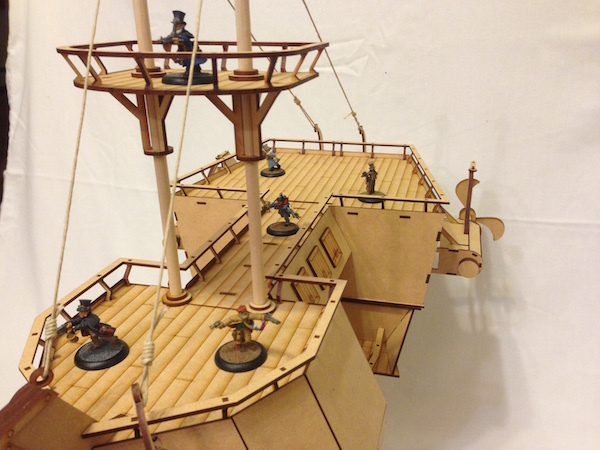 Crossover Miniatures has posted up their most recent releases. Plus, they've dropped some of their prices. That's certainly good news for everyone. 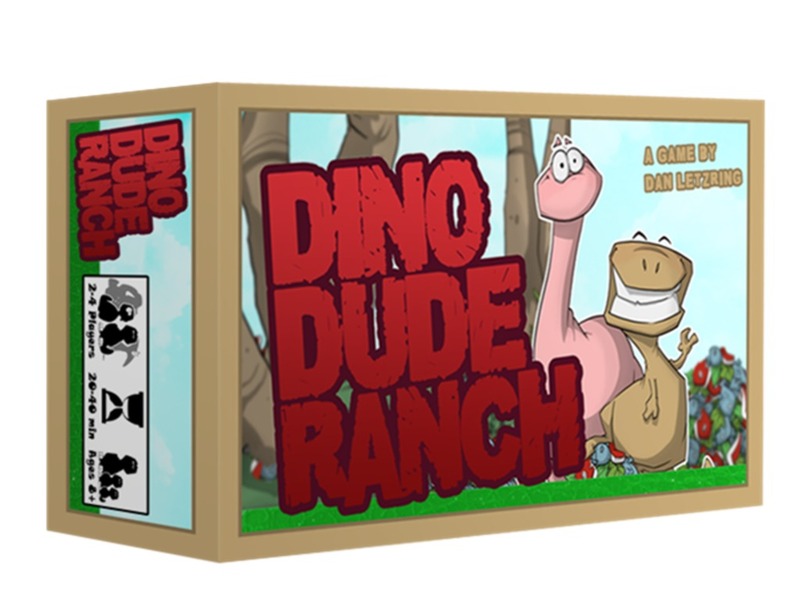 A huge thanks to all of our Kickstarter backers for making these next few releases possible. We managed to fund 21 new models that will be released over the next three months. Our first four releases are the Villains Crash & Burn and our new Thug Minions. There is a leader and a set of 4 thugs to order around. All of our previous Heroes and Villains have had a price decrease to $5.75. Our sales have finally been able to support a lower price point and still leave room for further developing the line. I hope you will be able to enjoy the fruits of this small victory. Minibits is expecting their shipment of miniatures tomorrow or the next day. They should be listed on Minibits.net soon for either order or preorder. So save yourself some tax and hassle and order from within the EU! Crossover Miniatures is in their final hours on Kickstarter. To help get through another stretch goal or two, they're offering the Super System 3 rules for certain backer levels. I've received an email from Scott Pyle (the author of the SuperSystem 3 rules) today. 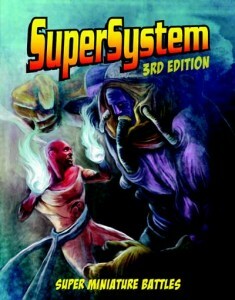 He will be generously donating a free copy of the SuperSystem 3rd ed. PDF to backers from the Henchman Boss level and up! So anyone contributing $44 or more to the project will receive them when the rewards ship. This was a fantastic way to increase the value of our project without increasing the cost to the backers. This is a great opportunity and one that will allow you to peruse a great little game system if you haven't already. You can spend hours just reading through the character build system. This PDF makes a fine addition to our project! We believe that any time a project in our little niche is successful, we are all successful. So pass the word around! Crossover Miniatures has a new Super Hero Miniatures Kickstarter campaign running. Go check it out. Welcome to our project page, I'd love to tell you about what we want to make. 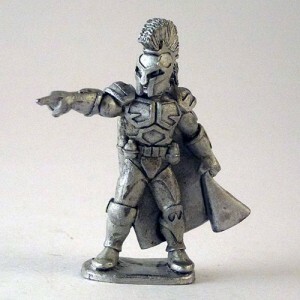 Crossover Miniatures plans to produce a load of new 28mm heroes, villains, and minions in white metal to decorate your mantle pieces and table tops. We plan to produce 5 Heroes/Villains and 12 different minions, each with 3 different head options. 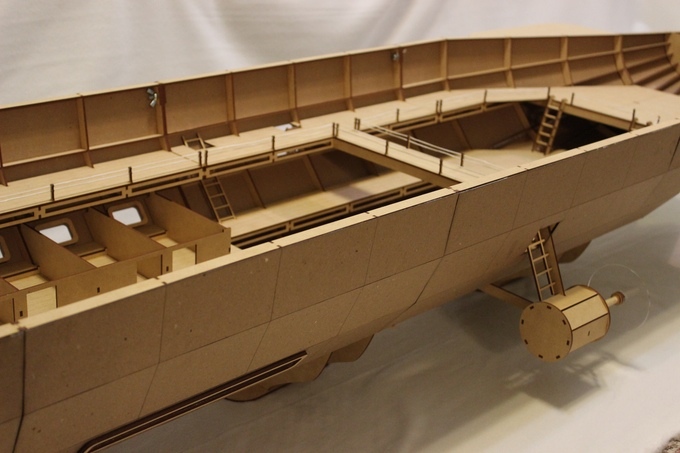 The Minions will be shipped with all three head options ONLY during this Kickstarter. Once it's over, they will only be available with a single head option. 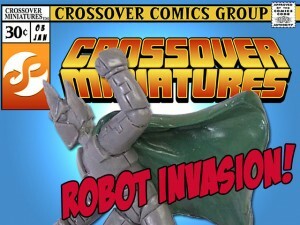 Crossover Miniatures is continuing in it's quest to bring you Intellectual Property free supers and minions. We think it's more fun to create our own characters, and we think you do too! Crossover Miniatures knows the USPS has raised their rates, but they don't care (at least for February), and are even having a sale. We remain committed to our $2 (or free) shipping to any location in the USA. That will remain unchanged. After February, our international prices will be adjusted. 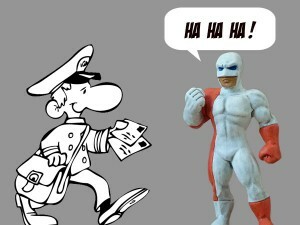 Rest assured our rates will remain cheaper than actual postage costs. So, if you want to get an order in this month, just use the code LAUGH10 on the cart page to get an additional 10% off. Have a great short month! 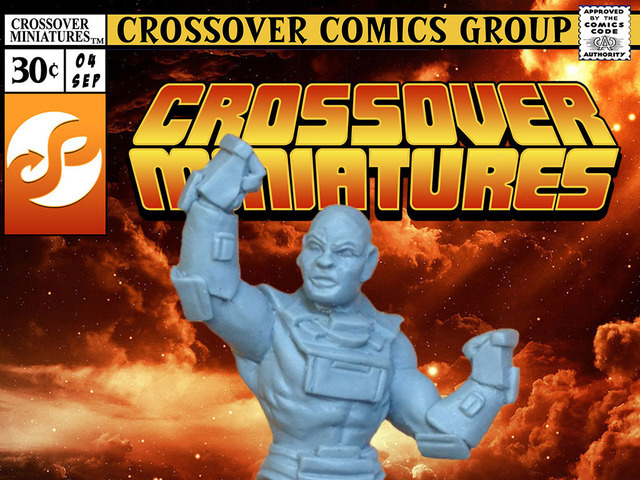 Crossover Miniatures has lowered their shipping costs to $2 for domestic orders. We're lowering our shipping prices for all orders delivered in the USA to $2 USD, unless you order is over $75, then it's free.